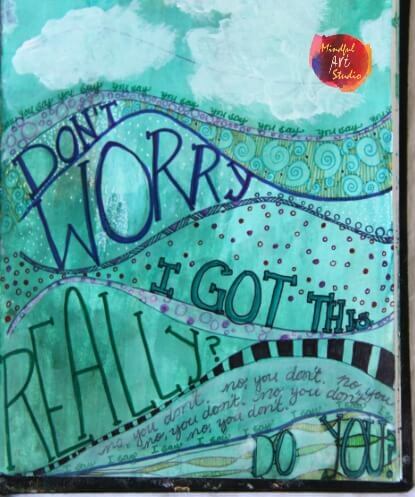 Art journaling does not have to be expensive or complicated. 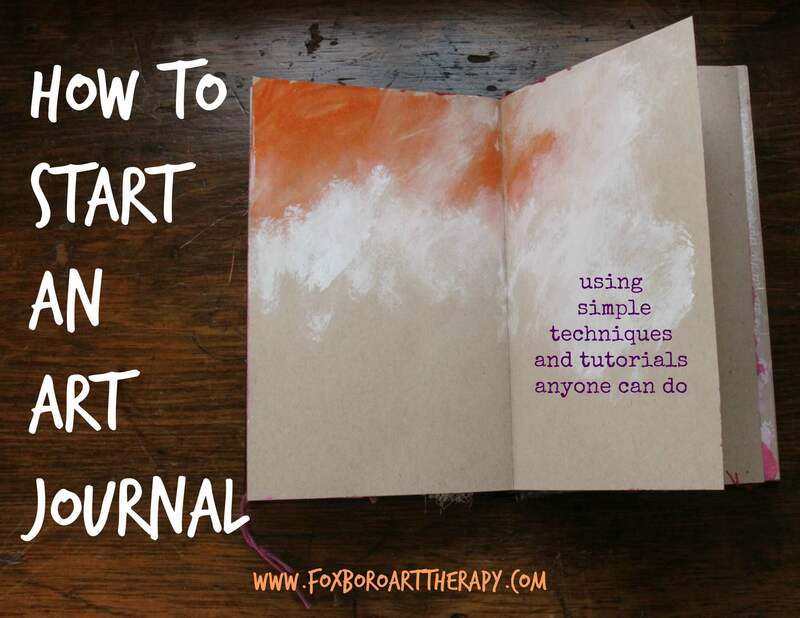 It’s one of the most forgiving ways to make art because in an art journal, everything you make is safely contained within your own personal book. You may choose to never share any of your pages with anyone (or everyone!) so it’s a space where you can let loose and explore with colors, shapes, lines, and your words all at once. You may choose to leave your journals more free-form and expressive, or you may want to have more of a “finished” art product on each page. Here’s some ideas on how to get started. 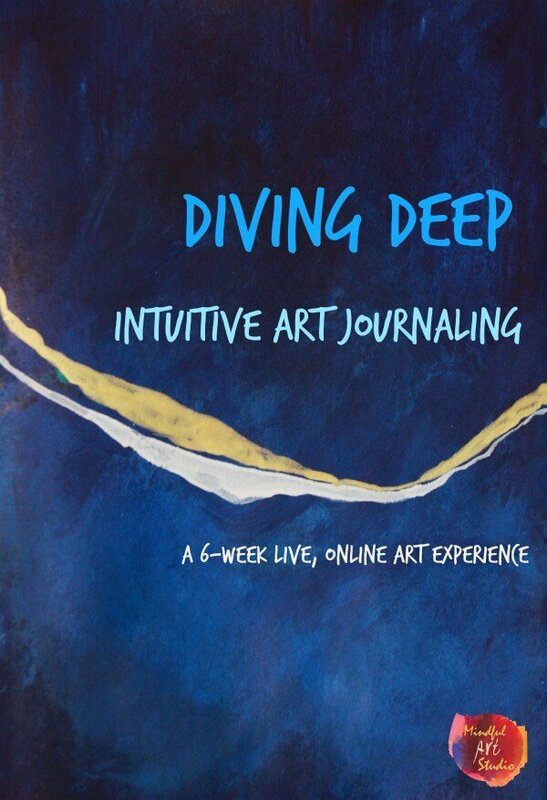 If you’d like to see a video with some live examples of art journaling, you can check out my video, How Art Journaling Heals for some inspiration and then continue on with the prompts here. 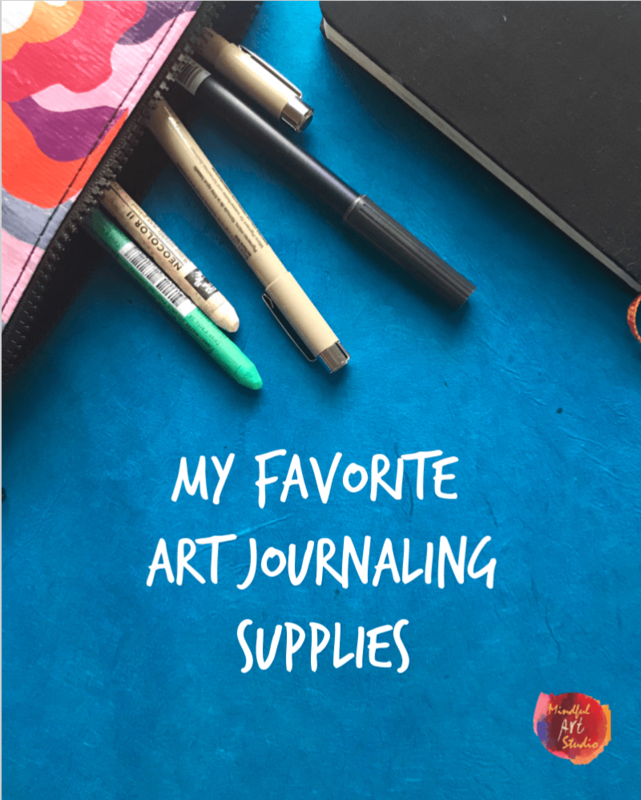 My Favorite Art Journaling Supplies: There’s a lot you could do even with this short list of supplies, but if you are interested in a more complete set of choices, check out some of my favorite art journaling supplies. 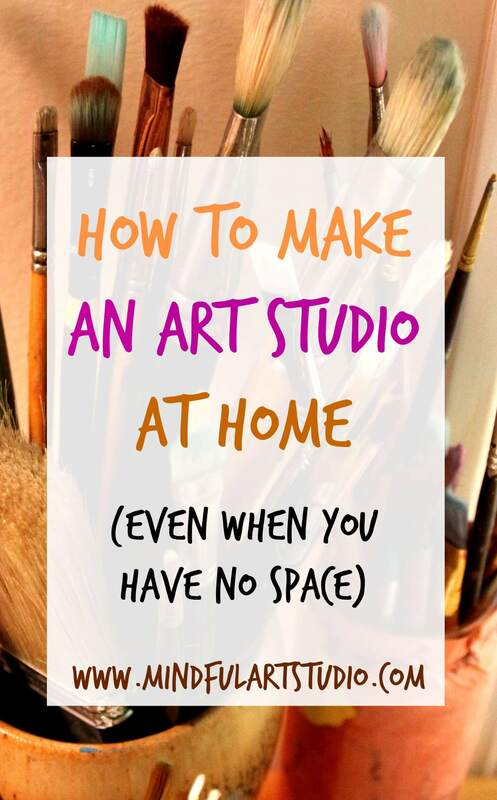 Start with this very easy tutorial for making “messy” but beautiful background with acrylic paint. You just have to be able to scribble with paint. 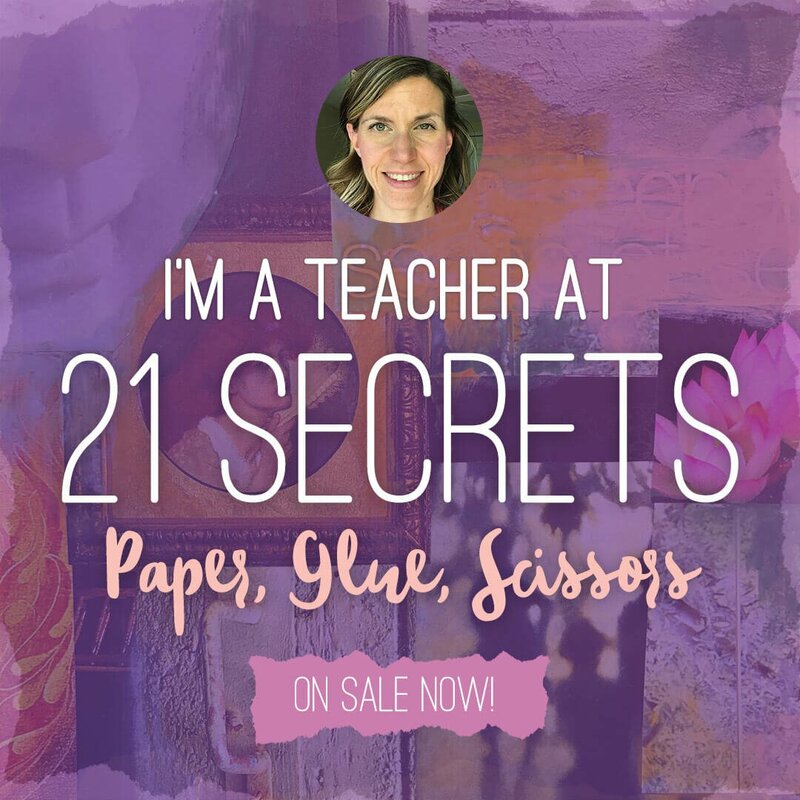 I’ve heard from so many people about how much they love the tissue paper painting technique. All it requires is tissue paper, a brush, and water. It’s simple and fun. 1. 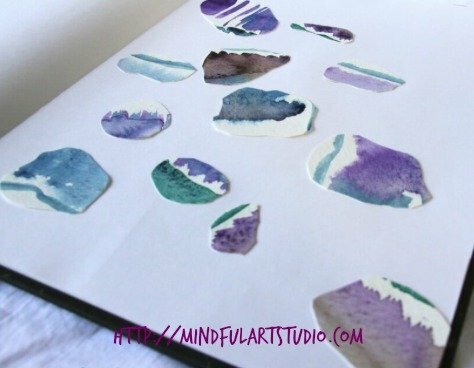 Wet the entire page with water, and then brush on purple watercolor paint. 2. 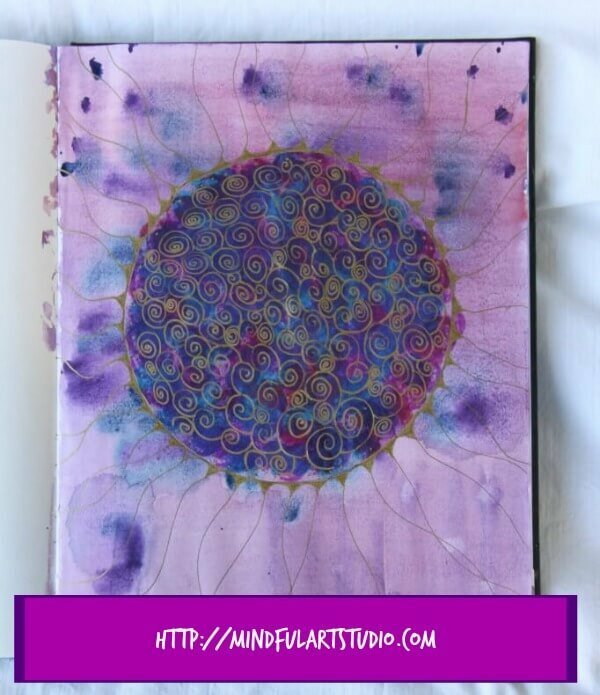 Next make “dots” with your watercolor brush of blue and purple all over the circle until it’s filled with color. You can let a few of the dots come out of the mandala like mine did if you wish. 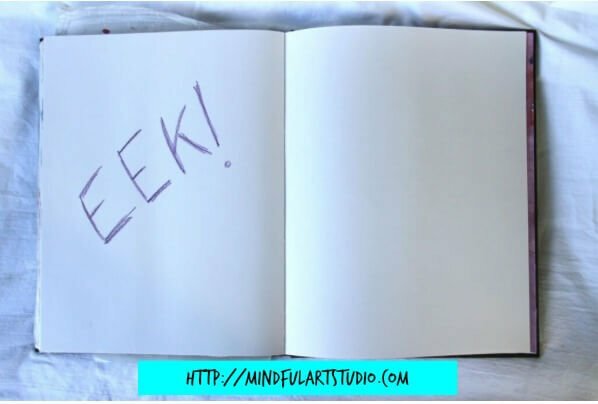 Step 3: Choose a Theme for Your Page and Create! Once you have a background, you have a great base upon which to layer images and/or text. 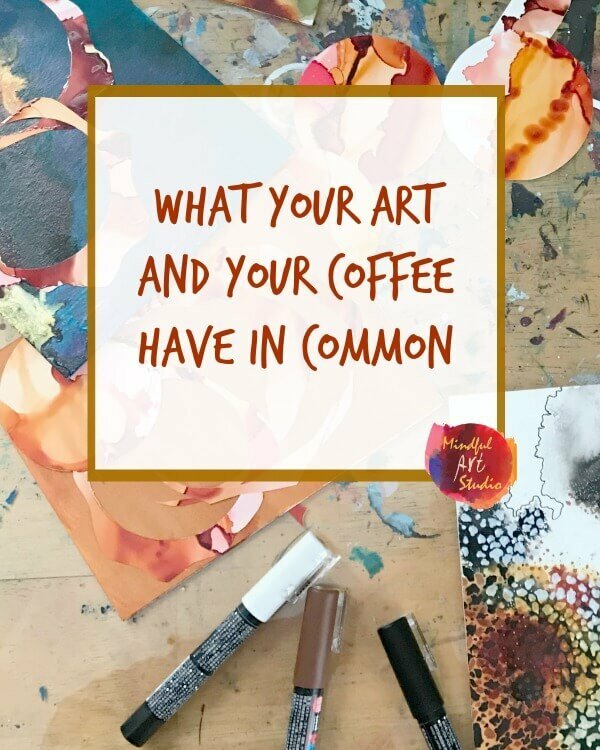 Here’s some art journaling “prompts,” both visual and written, to get your creative juices flowing. Mandala is a fancy word for a circle. 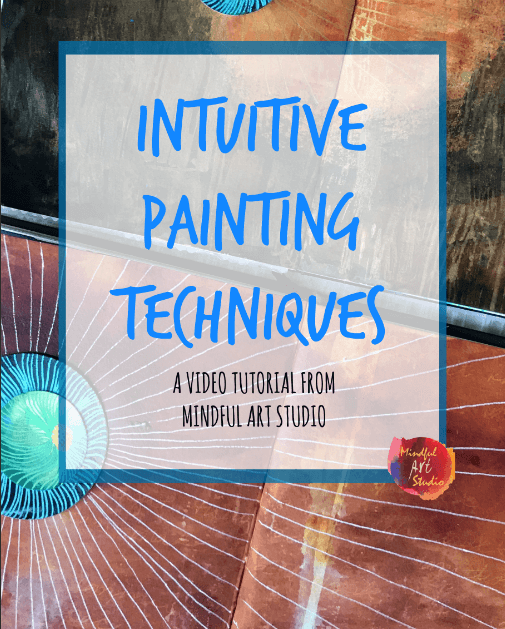 In art, they frequently have patterns, though they don’t have to. 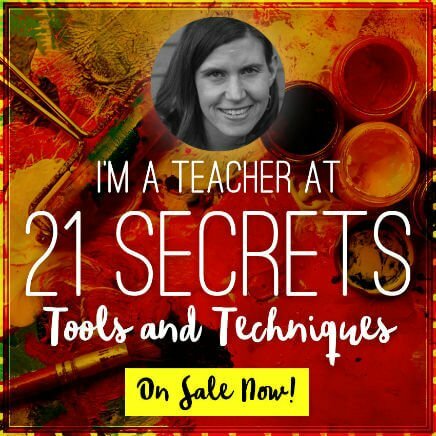 To make your own, trace a bowl or cup to make a circle in the middle of your page. You can break up the mandala into pizza slices, concentric circles, or fill it with a series of smaller shapes, like I did with these swirls. 1. Use the watercolor dots background described above to make yours like mine, or a messy background with acrylics to change it up. 2. Once the page is dry, use a pen to make swirl shapes until you fill the circle. I like to use a gold metallic marker or white gel pen. 3. Make the mandala your own! Experiment with different shapes, colors, and sizes. 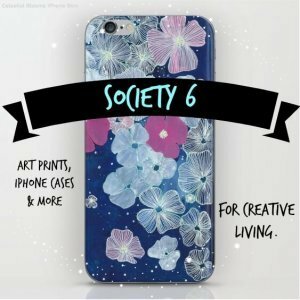 Make a series and see which mandala you like best. For a different mandala pattern, check out this step-by-step post on creating a flower petal mandala. 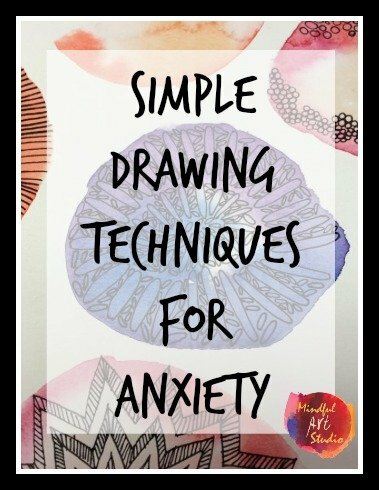 You might also like to check out some of the simple doodle patterns in this post: Doodle and De-Stress. Like the circle, our hand is a very familiar shape. Our hands are also one of the most expressive parts of our bodies, second only to our faces. Knowing this, you might choose to “pose” your hand in a particular way and trace this shape, rather than the traditional open palm with spread fingers. Let your imagination have a little fun with the metaphors connected to hands. Even if you trace your open hand, you can get very creative with what you put inside. Use your hand to express something about your mood today, what you are “holding” emotionally, or what you would like to let go. 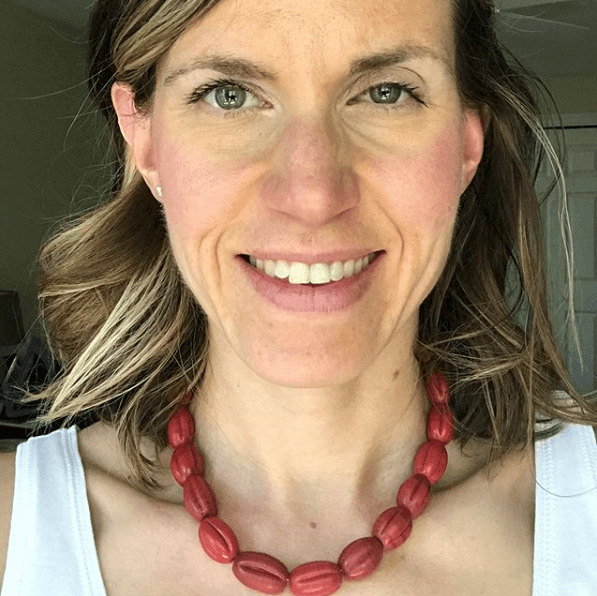 For example, if I write about things I am holding emotionally – I might write words and phrases about the things that are weighing on my heart – I had a fight with a friend, I snapped at someone and felt bad, etc. Sometimes letting out my worries helps, and other times it makes me feel worse. Pay attention to what you need. If I’m feeling down, often it’s helpful for me to journal about the positives. In this case, I might write words and phrases in my hands that help me to focus on what is going well. Inside my traced hand, I might write about feeling proud of how far I ran this week, that I made a delicious meal, or that I felt good about supporting someone through a tough time. 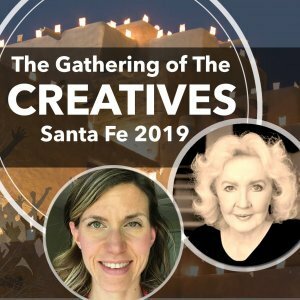 You can also fill the hand by journaling about your dreams and desires, or fill it with magazine photo collage images or drawings that speak to you. I’m a huge fan of using “failed” art pieces in my journal. There’s always at least some small part of an art piece that works. I save most art pieces for this reason. I keep a baggie in a drawer with watercolor paintings, drawings, doodles, etc. When I’m not sure what to do in my journal, or I’m doing a collage project either in my journal or on something else, I pull out this bag of tricks! 1. 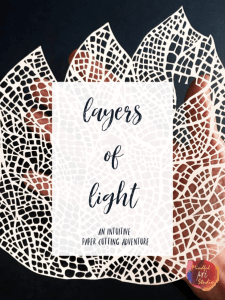 You can either cut or tear bits and pieces out of your art piece. Look for tiny areas that catch your eye. Using a hole punch is another fun way to create smaller art pieces out of a larger piece. 2. 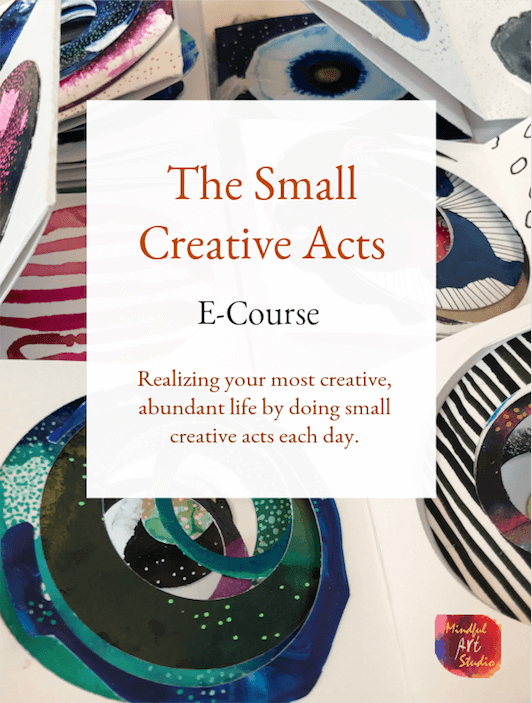 Next, place the mini art pieces on your journal page, playing with what feels right. 3. Paste your collage bits in place. 4. I’ve left this page more minimalistic, but you could doodle, paint, or write around these pieces to pull it all together. Quotes are a great way to express what you’re feeling, but without the work of coming up with just the right words. 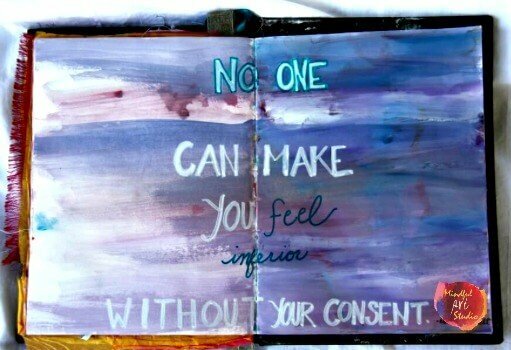 The quote I used for this piece is such a great reminder of how much power we have over our feelings and perceptions. I love this quote, I find it so empowering. Make a list of at least 5 things you feel grateful for this week. Think about the word that describes the way you are feeling, or the way you want to feel, and look up the definition. Write this definition on your page and decorate around it. If you have an old dictionary, you might even cut and paste the definition onto your page. I find this exercise sometimes solidifies my feelings, and sometimes makes me re-evaluate them. 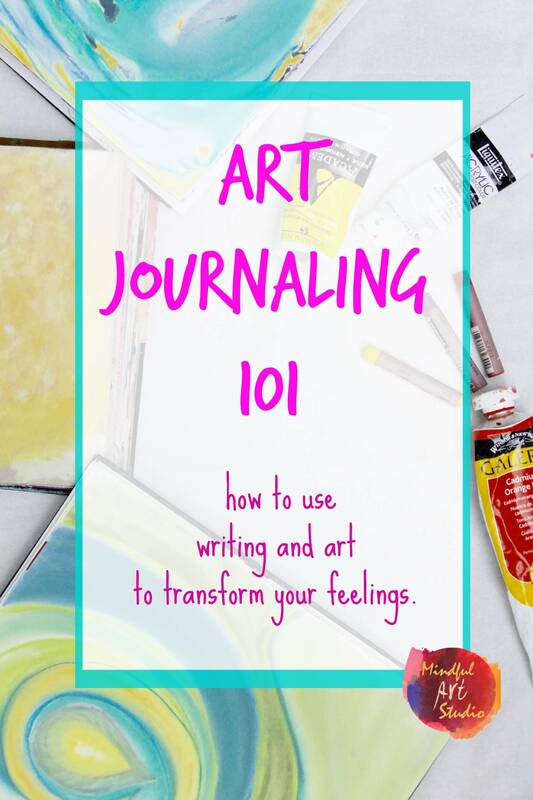 You might even do one page per feeling in a particular journal such that you end up with a “dictionary” of your feelings. You can just write or use a combination of words and images on each page. *What’s one moment that I felt content today? *What do I wish for most right now in the world? 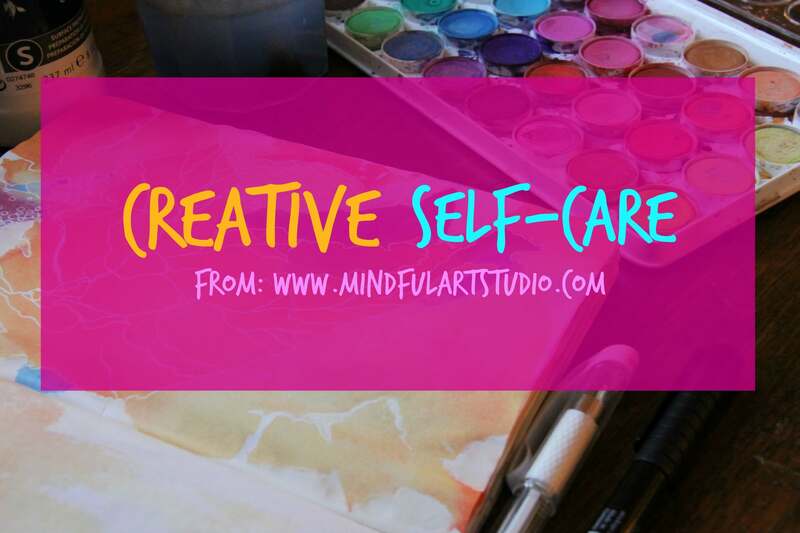 Give yourself permission to mix writing and drawing freely. 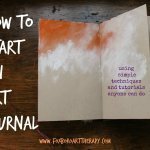 Don’t worry about the quality of your drawings, let the journal be a space for experimentation. You might write about seeing a horse on your drive to work and how it was beautiful and that the colors of the sunrise inspired you to journal today. Perhaps you write, and then paint orange and yellow watercolors over the background. You might then draw a little horse head next to your writing. Let it be free and imaginative, like a child would do. Trust me, when it comes to art, the younger they are, the more they know about artistic freedom and play. 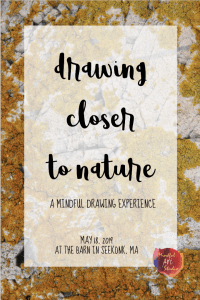 Once you have a beautiful background, you may want to create some interesting lines on your page and use them as a space to write down your thoughts and feelings. I sometimes try to boil it down and write the “point” of what I’m thinking and feeling in big CAPS like this. 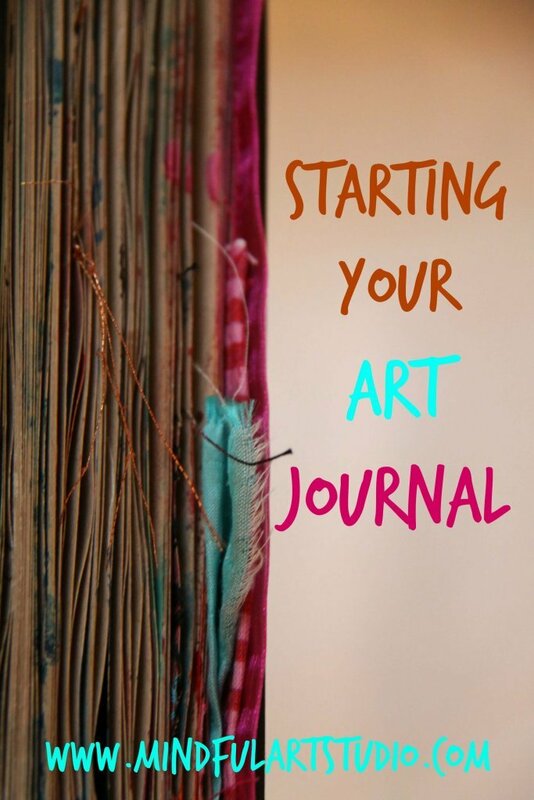 Step 4: Want to Learn More About Art Journaling? 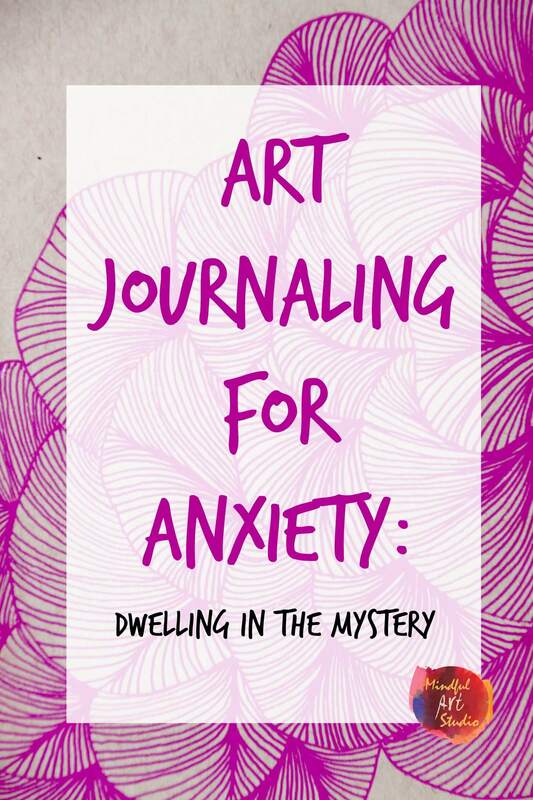 Check out my e-book, Starting Your Art Journal, it’s a treasure trove of art journaling ideas and techniques to help you say all you’d like to through art and writing in your art journal. 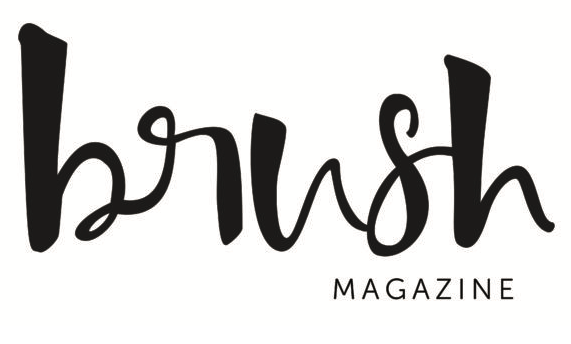 Also, be sure to sign up for the mailing list to get the latest on art journaling tutorials, ways to use art to relieve stress, and inspiring artist interviews. 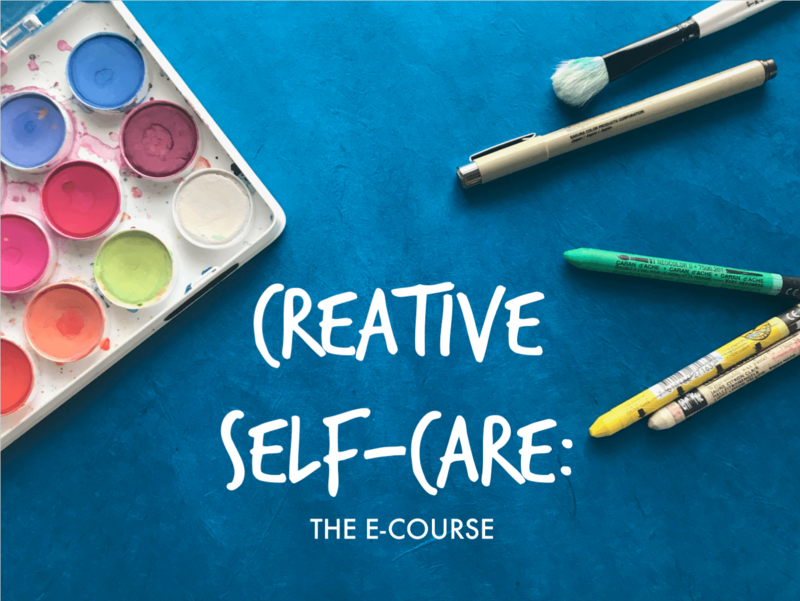 You’ll also get the Creative Self-Care E-Course to help you along on your artistic journey! 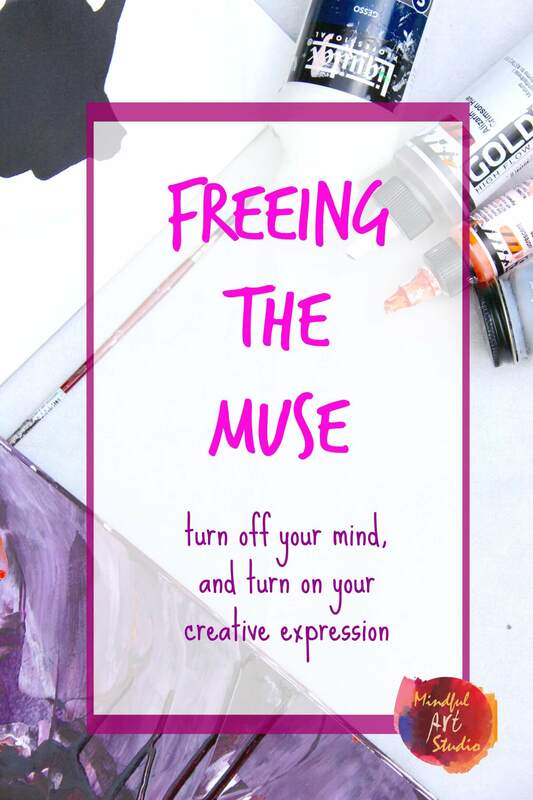 How do you creatively express yourself or let go? 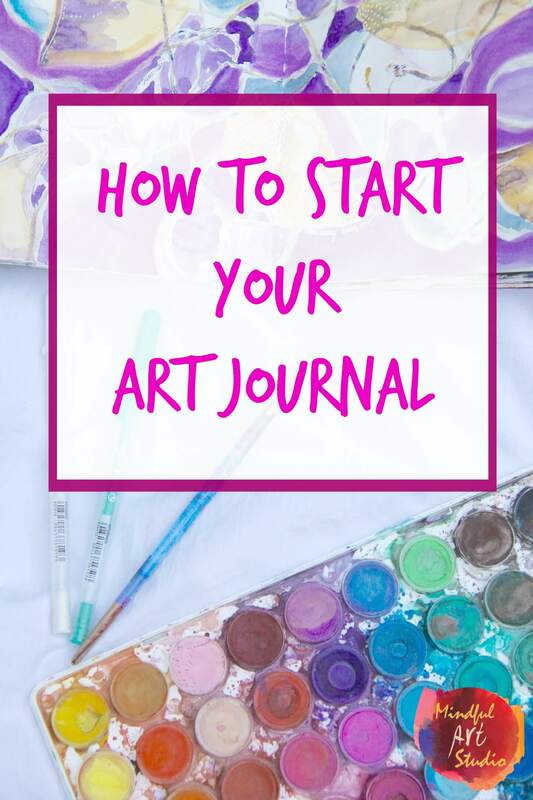 Have you tried art journaling before? 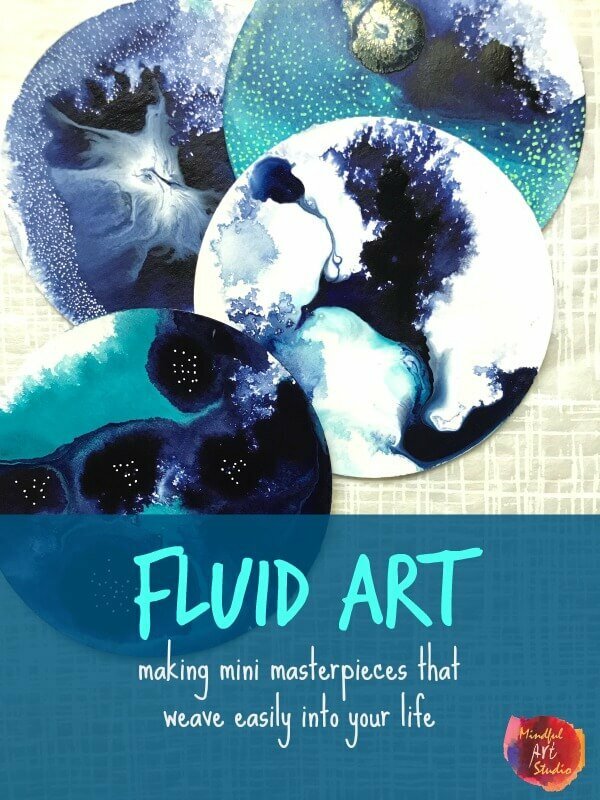 Try one of the wash techniques and a quote, and let us know how it turns out! *Many of the product links in this post are affiliate links. 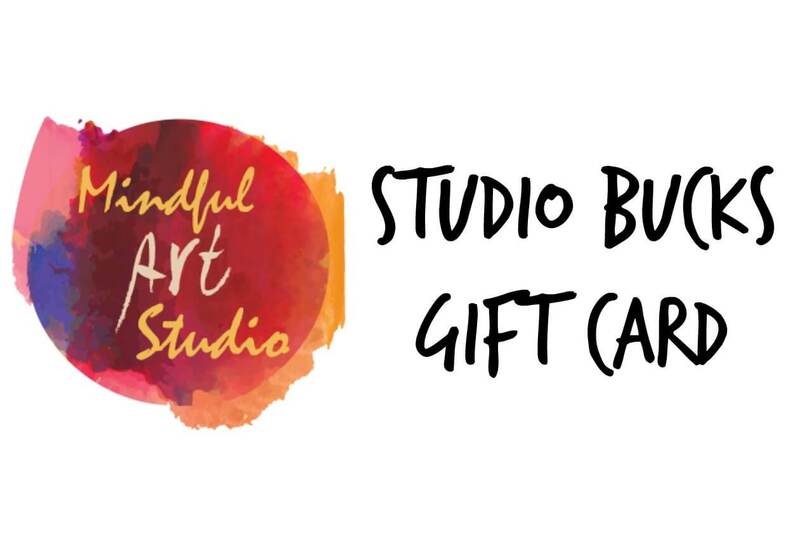 This means that if you choose to click and purchase something, at no extra cost to you, you will be supporting the work of Mindful Art Studio to empower artists everywhere. Thank you! I have found that if I don’t want my feelings to completely run my life, I need some outlets for them. Sometimes five minutes is all I need to purge my worries, whether before bed, first thing in the morning, or in the middle of the day. Being able to them on paper let’s me set them aside and focus on the moment. PIck a time today when you are feeling a bit overwhelmed or confused. Find a quiet spot and write uninterrupted for 5 minutes about what’s on your mind. When you are done, read what you wrote and underline words and phrases that stick out to you. Pay attention to any needs that arise, and take care of them as best you can. 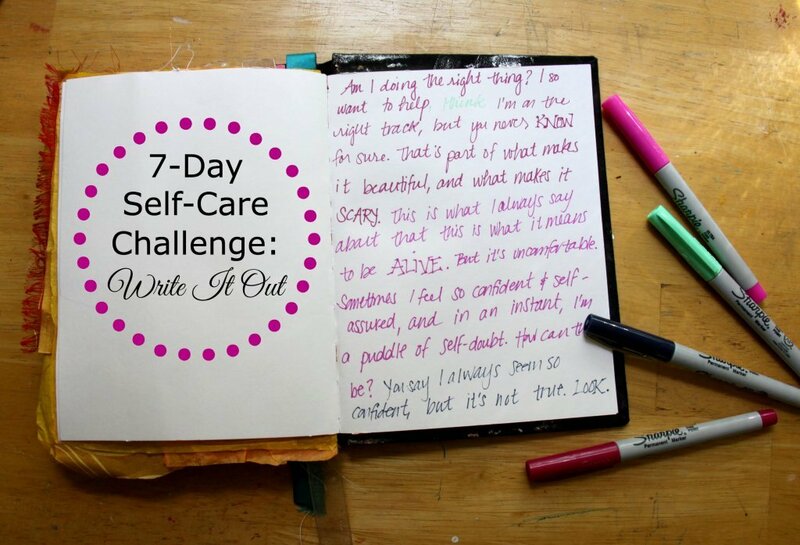 Do you write out your worries, problems, or dilemmas? What helps you get it off your chest and move on? Tell us about it in the comments.